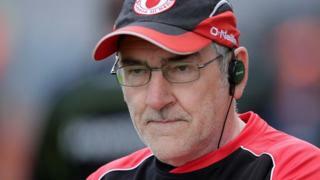 Mickey Harte believes his Tyrone team were denied a clear penalty at a crucial stage in Sunday's 0-18 to 1-11 defeat by Kerry in the All-Ireland Football semi-final. Harte added that his team paid the price for failing to take a number of goal chances in the Croke Park game. 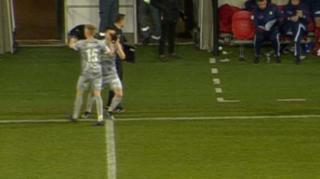 Tyrone got the only goal of the game through a Peter Harte penalty but their manager felt they should have had a second penalty for a foul on Padraig McNulty. Kerry won 0-18 to 1-11 and will face Dublin or Mayo in the All-Ireland final.